Discussion in 'Personal Paint Logs' started by Tarash, Feb 6, 2018. 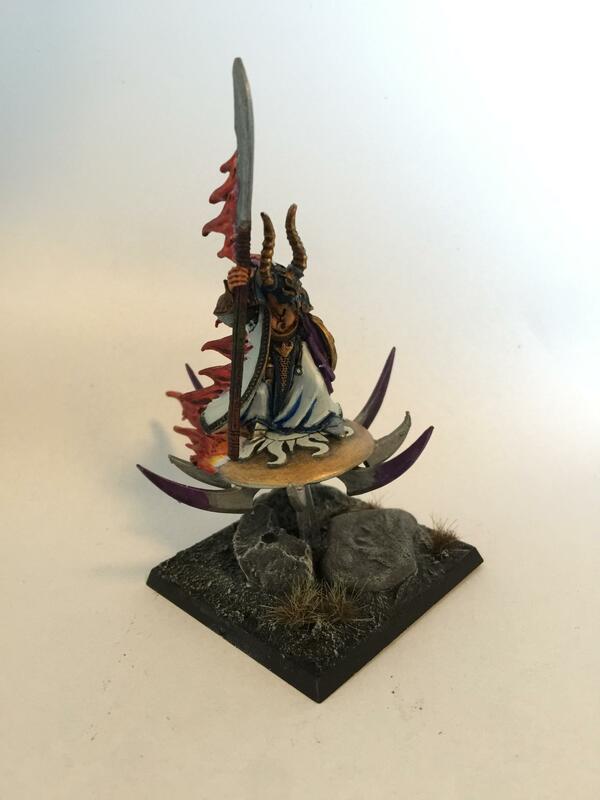 Greetings, long time lurker yet just signed up as I felt confident enough to post some of the stuff I've worked on and hopefully can get some critique and comments to improve upon my skills, be warned however, I suffer from micro tremors from intensity in my hands at all times, especially obvious on some stuff I do that requires fine handling of the brush, so sometimes I end up having to fix the errors produced by the tremors so many times that trying to fix it further would only help make it look worse! 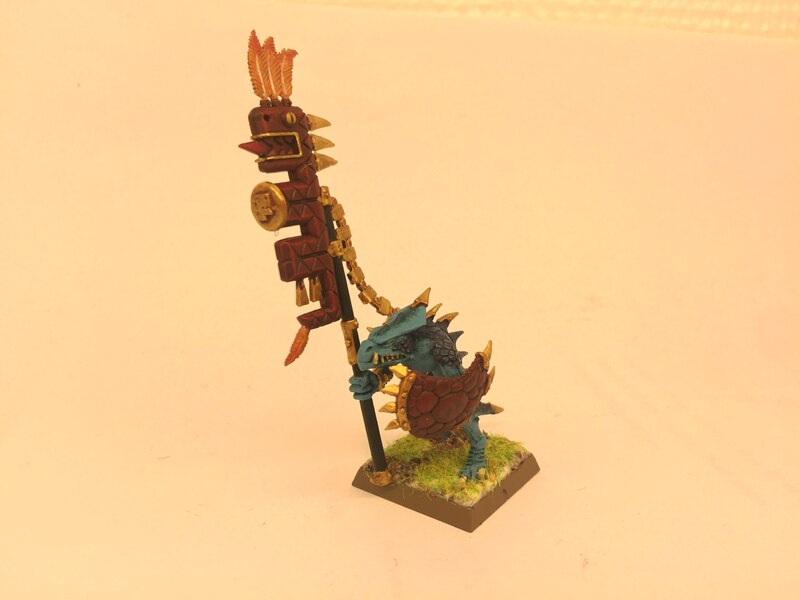 I'll start off with something a little away from the Lizards domain, as it was the models I painted first, chronological order. 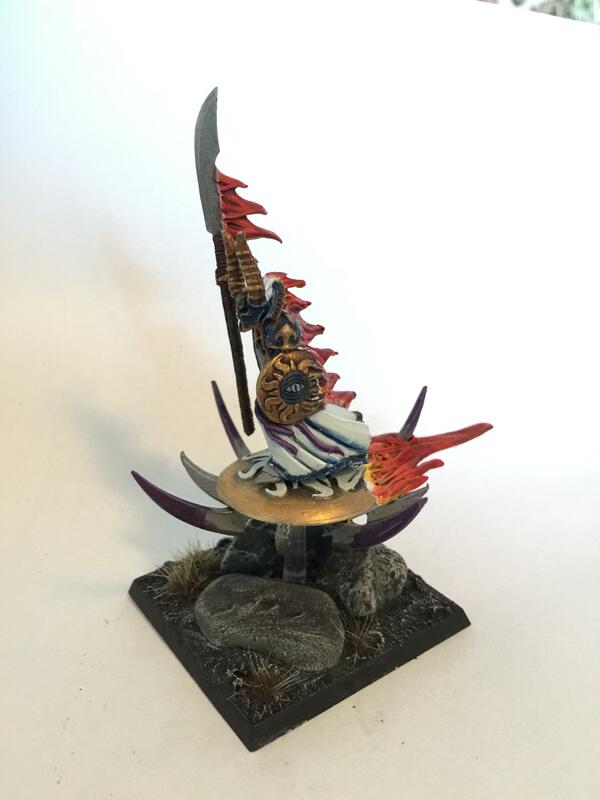 Chaos Predator my first come back to warhammer model I painted after 12 years away from it. 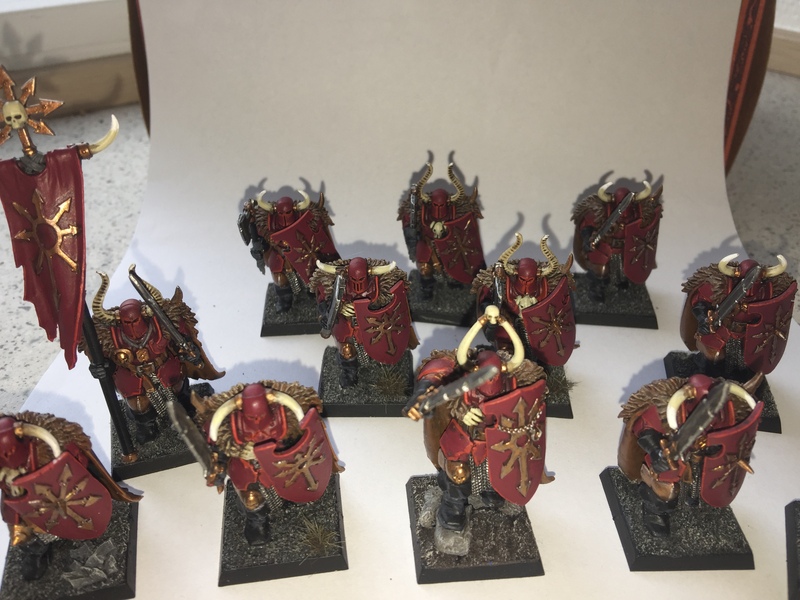 Then a bunch of chaos warriors. 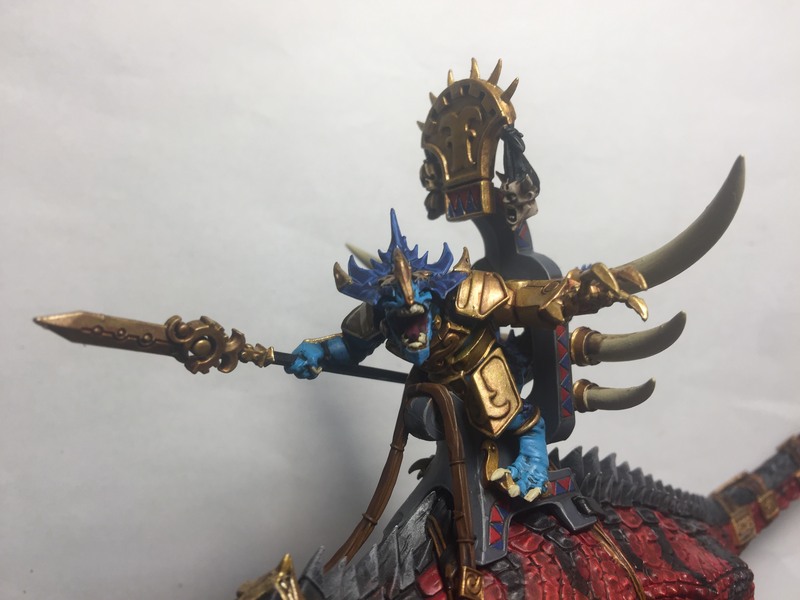 I have a ton more units to paint, so I' hopefully just getting started here, a steg, a bast, some temple guard, the remainder of the start collecting box for seraphon amongst other things! ASSASSIN_NR_1, Blastoize, Itepixcauh and 8 others like this. Welcome aboard and a decent start to your blog. The good thing is that in some cases you can avoid techniques where it shows too much (I don't do much edge highlighting for example, rather relying on drybrushing because the micro tremors don't affect that). Your stuff looks pretty good already, I especially like the Chaos Warriors and the Carnosaur. Cool idea with the flowing water on the base, the Carnosaur stepping over that creek. My only critique about the base is that the white in the water could be a little bit more transparent. But I really like how the base looks, epecially how its colors have a nice contrast to the Carnosaur. Huanata'Kor, Tarash, Ritual and 1 other person like this. If @Tarash got some water effects from woodland scenics he could pour a thin layer over it making it look more realistic. n810, Ritual and Crowsfoot like this. Thanks guys, I agree on the water, it was very experimental for me when I added it, I've actually got some vallejo still water I could add or even just some gloss varnish as well, currently the cartoony water was made with vallejo atlantic blue and foam snow. Warden, Aginor and Crowsfoot like this. Definitely! 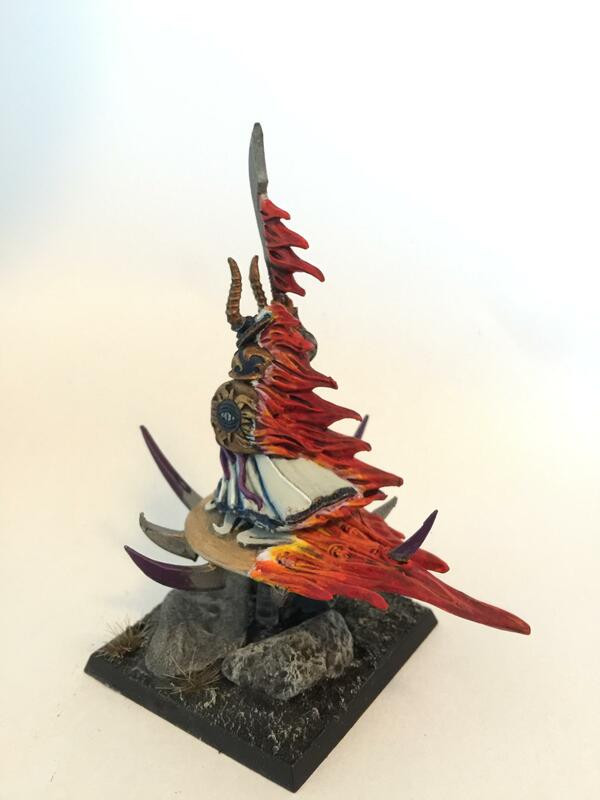 I've been doing this for just one and a half years now, so I am still rather new to painting, and I have already noticed that I can work around the tremors. Not perfectly, but adjusting the brush angle, doing precise stuff based on your day's tremor status (I have better and worse days) and painting with short, quick motions instead of slow ones (requires practice but I noticed that slow movements can actually be less precise because of the tremors) helps mitigating the issue to a certain degree. I occasionally do edge highlights now. Welcome, great start and I really like the carnosaur also. 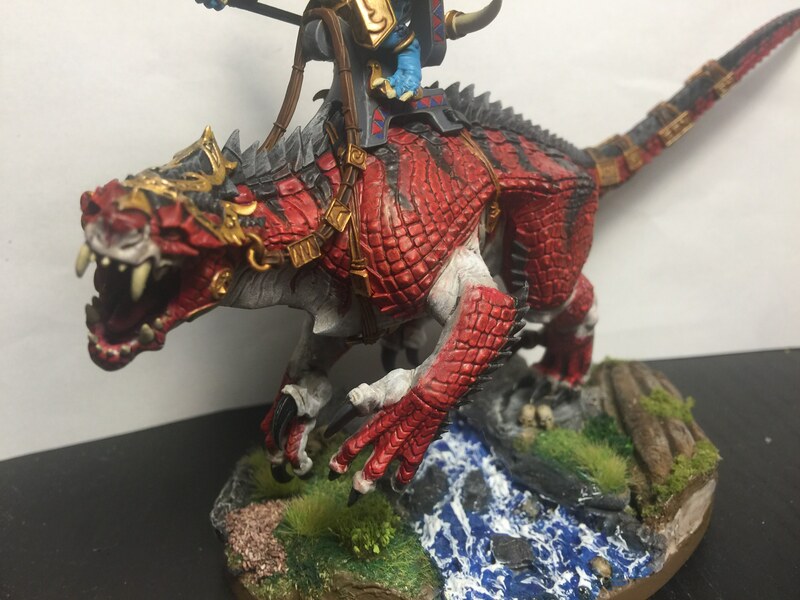 I think you've done a great job on the pattern on the scales of the carnosaur and as the others have mentioned the attention to detail on the base also looks very good. And some nicely painted lizards. Big fan of that waterfall. 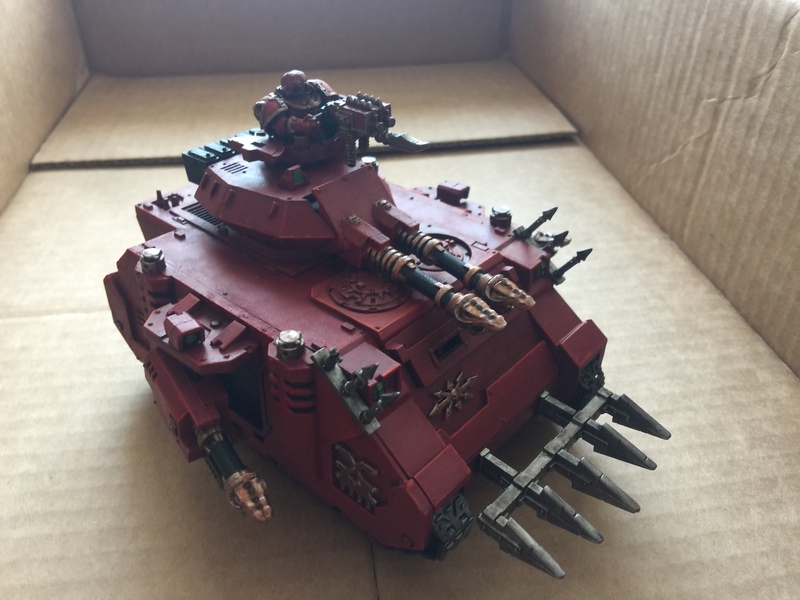 Live the classic colour scheme on the Carnosaur! Extremely well reproduced. Great start! I will be keegan eye on here. Blastoize, Warden, tom ndege and 2 others like this. Knights look good, I need to finish mine! I like those a lot. Good work! 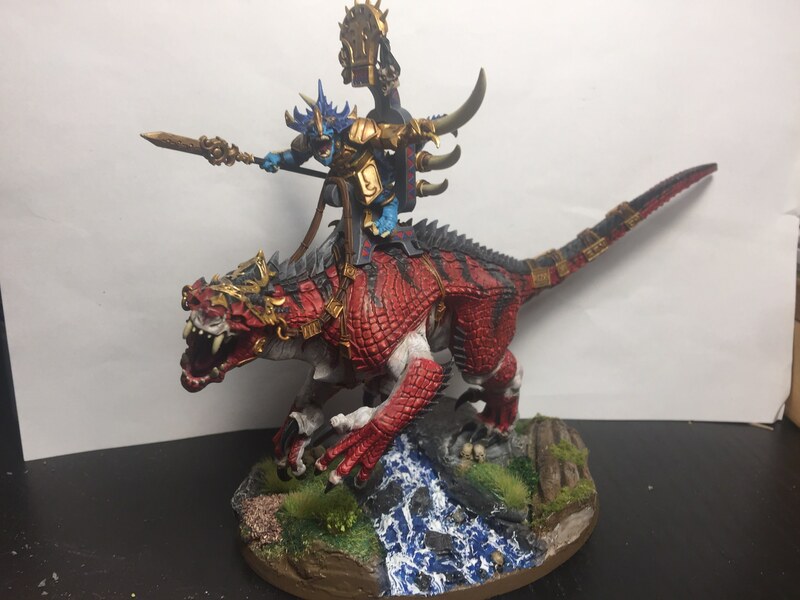 Finished my Bastiladon today, the base is still not finished though, just need to finish that and 10 saurus warriors and I'm ready for the first September month of Escalation League! Blastoize, Crowsfoot, tom ndege and 2 others like this. Nice spots on the shell. 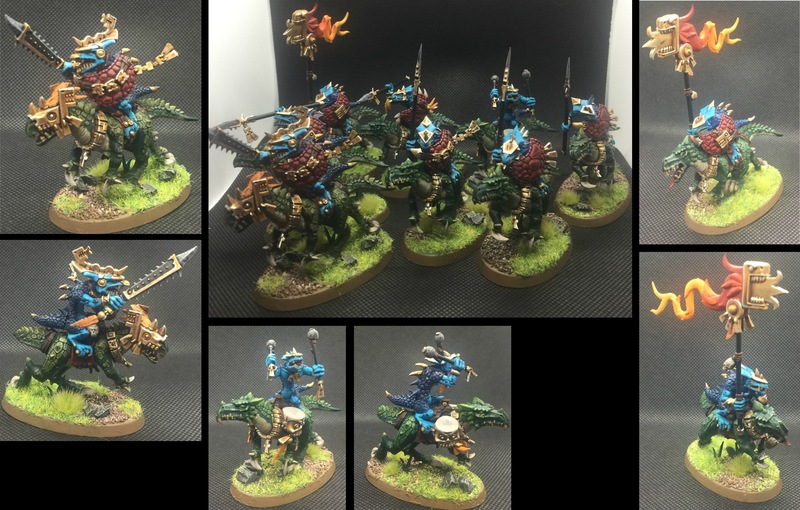 Glorious saurus cavalry, and a perfectly painted bastiladon!